Riverview Dental is tucked behind the private drive of the Yankton Trail Professional Park (on 57th St between Western Ave and Louise Ave). All patient operatories overlook the natural habitat of deer, pheasants, squirrels and birds. We have easy access, ample parking and is wheelchair accessible. We are experienced in same visit Crowns. Our #1 reason our patients rave about us is our same visit/day Crowns. Our Cerec Computerized Dentistry can make this happen. 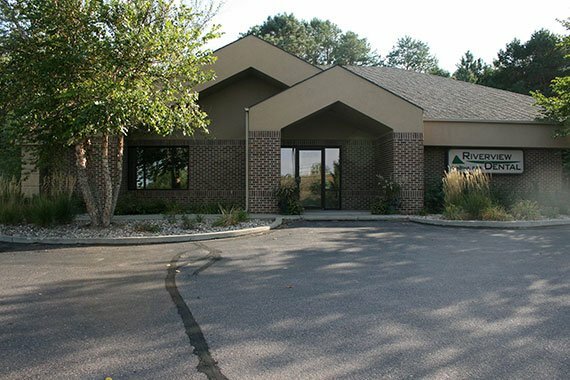 Welcome to Riverview Dental, a great choice when you need a dentist in Sioux Falls, SD. When looking for a family dentist, Riverview is here to help. Call 605-339-2040 today for dentists with a personal touch! 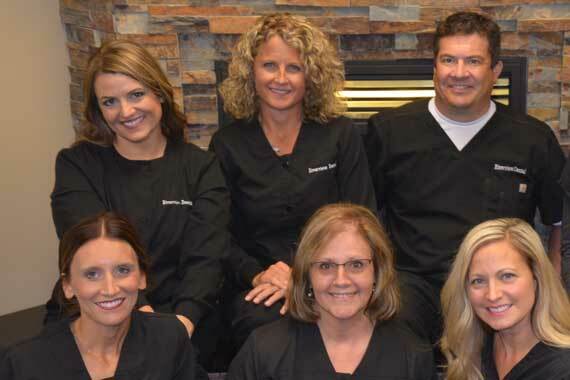 When you’re looking for dentists in Sioux Falls, SD, Riverview Dental is here to help. We have plenty of experience when it comes to managing dental health, and we ensure our staff is up to date on the latest techniques and technology. If you need a family dentist who can handle anxious children — or even anxious adults — we can help, and we always take the time to explain your options. Dental health is a priority for us, which is why we offer a variety of services for the whole family. It often starts with an examination to determine what options are best suited for you and your requirements. Talk to us today if you require bridges, braces, dental implants, dentures, teeth whitening or fillings. We provide a lot more in addition to these, so check out our offered services for the full list. Happy with your Experience at Riverview Dental? We enjoy hearing from our happy clients and would appreciate a review from you! Thank you for choosing us as your Dental provider. Our dentist and dental hygienists can help you with a wide range of dental services using our Solea laser, while our dental assistants can assist you with any questions that you have. It is always service with a smile — protecting your smile. We believe in continuing education, both for ourselves and our patients. Our ability to stay current with modern advances in the dental field allow us to offer quality treatments. There is no need to ask us for options we are always clear and up front right away by explaining your treatment options and offering you education for you to take control of your own dental health. If you’d like to learn more about our staff members, check out the Our Staff page. How Can We Improve Your Dental Health?